Our Sun (Week 4), originally uploaded by Greyhawk68. 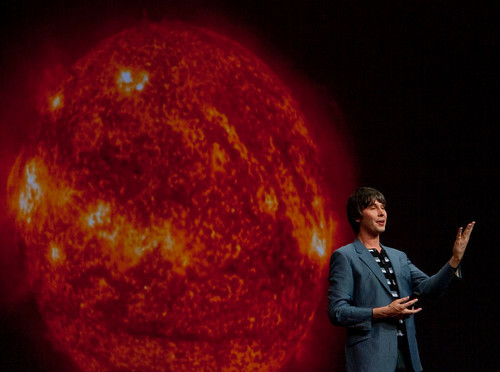 Here is Professor Brian Cox (@profbriancox on Twitter) of the Large Hadron Collider project with a photograph of our sun behind him. His speech to close Lotusphere 2010 was awesome and it’s amazing how small and insignificant we really are in this whole universe.